The Universal Works Short Sleeve Easy Crew is a comfortable, contemporary crewneck sweatshirt with clean, minimal detailing such as narrow ribbing, clean seams and a loose, straight fit. 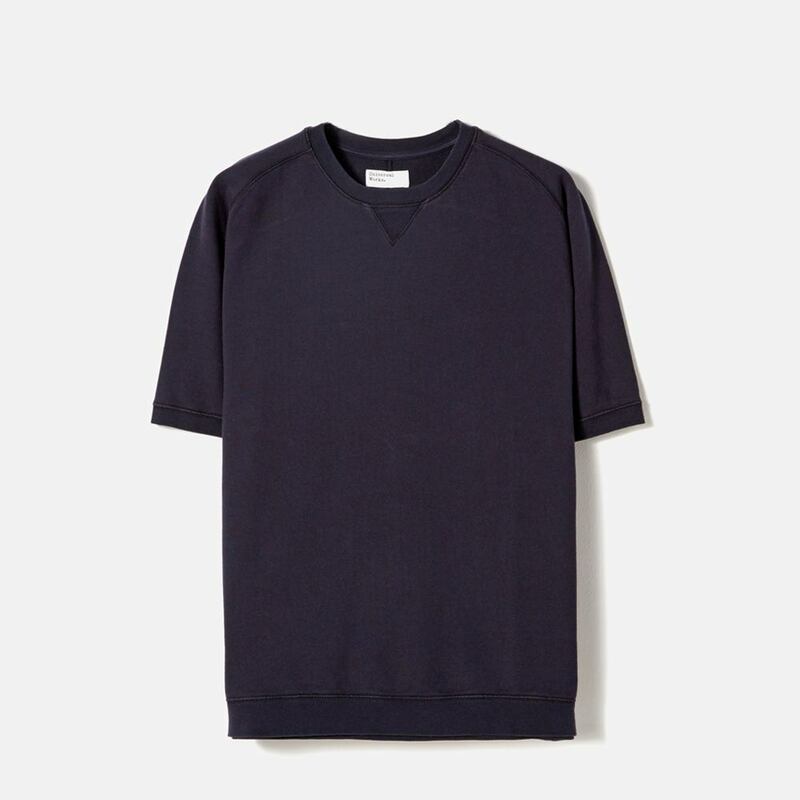 Simple short sleeves make this crew neck perfect for layering and indoors wear in winter and transition well into summer. 100% cotton sweatshirting with a clean, slightly twill textured face and traditional looped terry back. Knitted and sewn in Portugal. • signature dropped raglan sleeves. • narrow ribbed cuffs and hem.